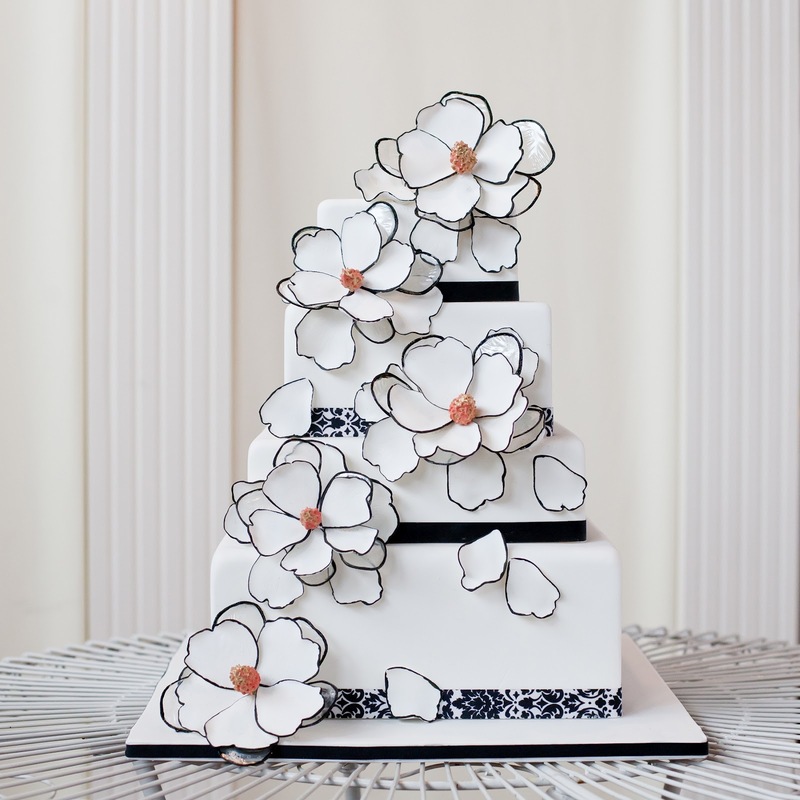 We are extremely excited to receive out first wedding cake submission from cake designer Renay Zamora from Sweetface Cakes. Truly wonderful and unique cake designs, let's dive right in! The yellow and black cake was made for Jack White's exclusive album release/Third Man Record's third anniversary party back in March. 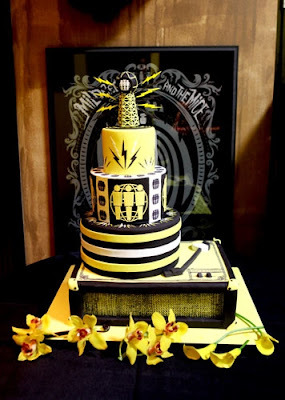 It was pretty cool! 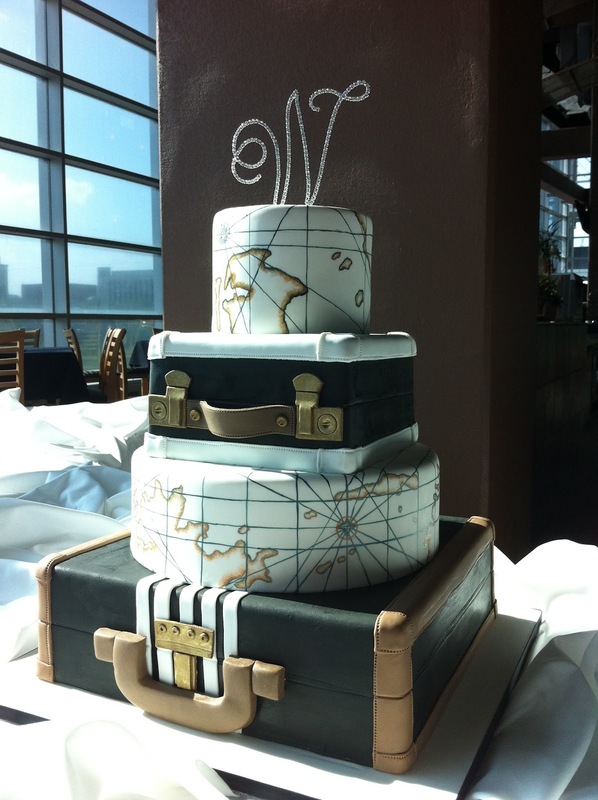 The vintage suitcase/antique maps cake was made for a couple who plan to travel the world together and was delivered to LP Field in Nashville, TN. 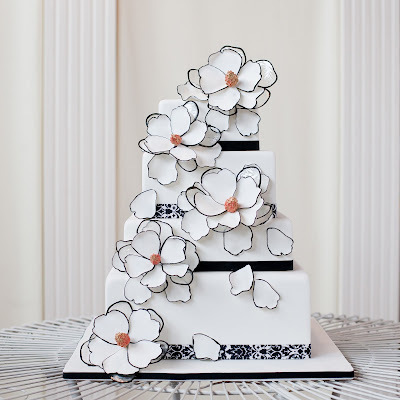 The black & white cake was inspired by a Temperley of London top that I saw modeled by Mila Kunis. 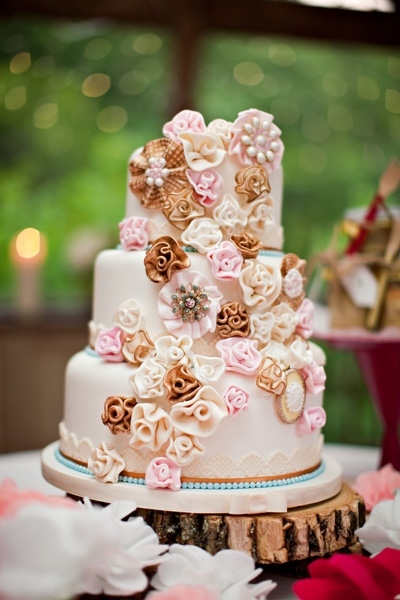 The ruffle flower cake was inspired by DIY fashion. 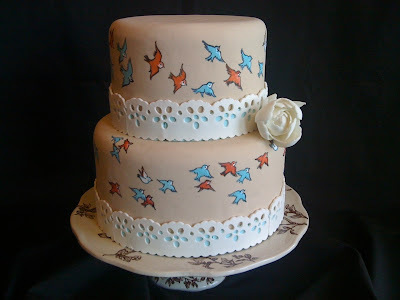 The painted eyelet lace cake was inspired by the artwork from a book of lullabies that I bought for my newborn daughter, Ruby. 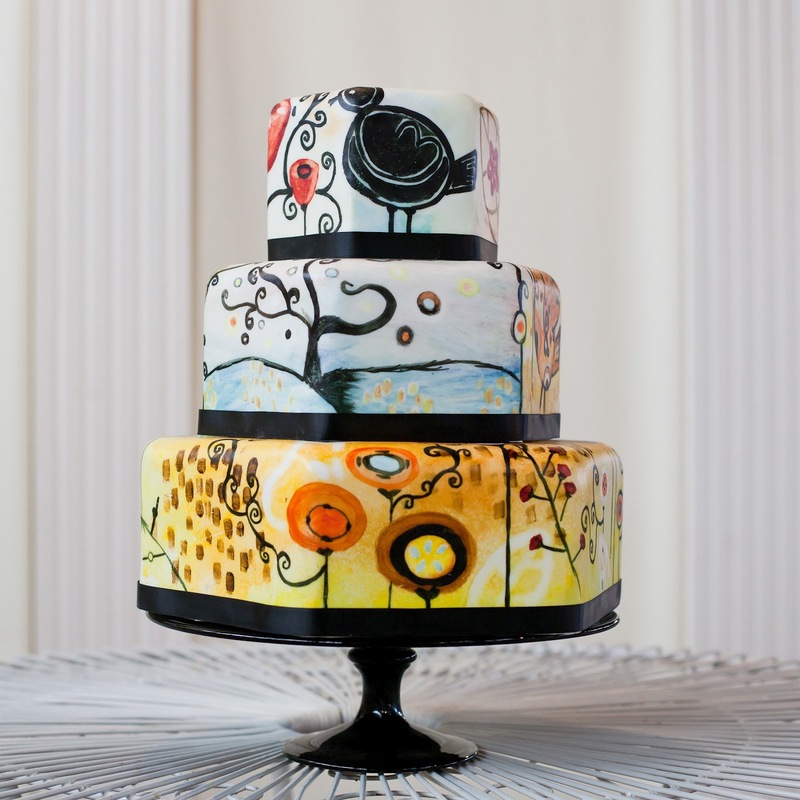 The painted cake was inspired by the artwork of Natasha Wescoat.